Kelowna remains a haven for investment and one of the best places for real estate development, according to a new study of the local commercial real estate market. The authors of the newly released 2018 HM Commercial Report see the positive impact of the Amazon effect, which is driving innovation in land-use and urban planning throughout the Okanagan Valley. 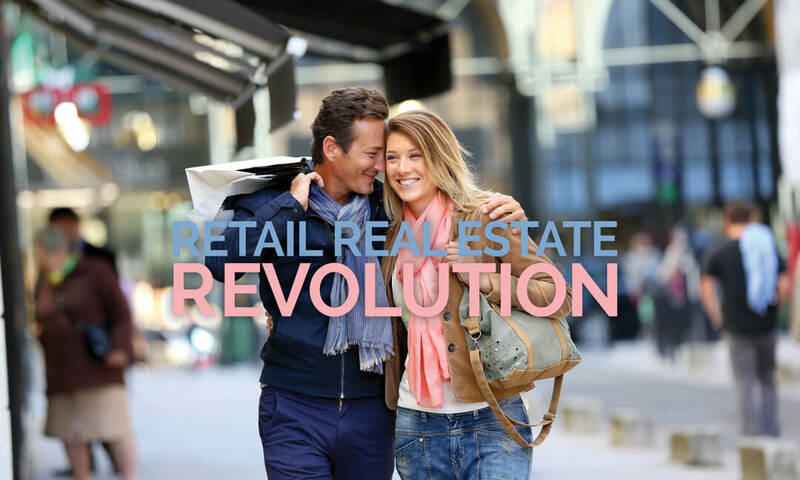 In the report, leading Okanagan developers offered insights on the retail real estate revolution underway. Owner of the Orchard Park Shopping Centre Patrick Sullivan, chief operating officer of Primaris Management and has seen changes resulting from the closure of some of Canada’s largest retailers. Last fall, Western Investor named Kelowna the number one investment location in Western Canada, based on the number of housing starts and a trend toward increased density in developments. In Kelowna, Vernon and Penticton, investors are now heavily considering retail centres. 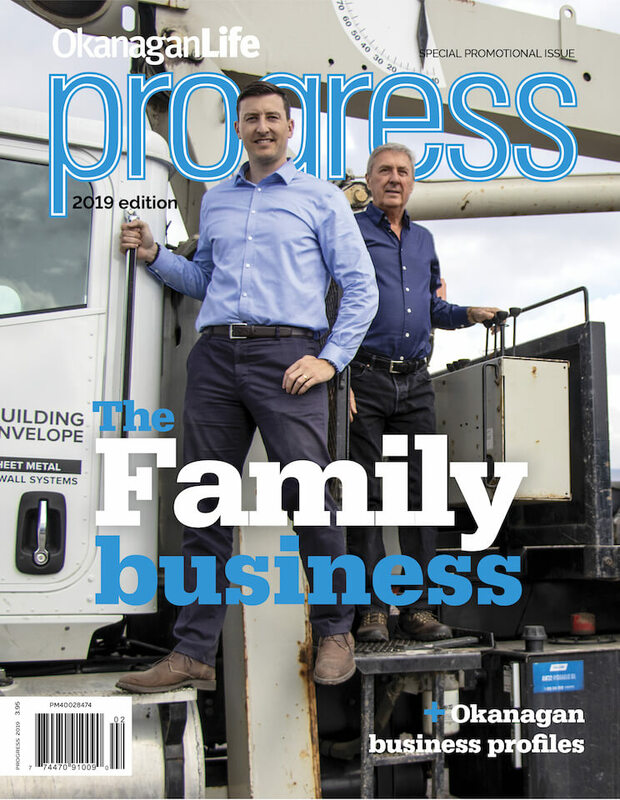 In March, Premise Properties joined with Peterson Group in an $85 million acquisition of Dilworth Shopping Centre in Kelowna and Vernon Square in Vernon, the most significant investment in the Okanagan Valley in the past year. Premise Properties president Avtar Bains believes retail needs to evolve in harmony with its community. Walkable urban places will be the engines of growth for Kelowna, according to city planners. Since 2010-2018, approximately 1.39 million square feet or 73 percent of commercial development citywide occurred within the urban centres. A recent technical analysis of vacant and underused parcels of land revealed a capacity to support 11,000 housing units and 6,500 jobs in the city’s urban core. With ample development potential to support growth, City planners have drawn up future land use plans for five urban centres: City Centre, Capri-Landmark, South Pandosy, Rutland and Midtown. Coming full circle, developers — rather than paving paradise as Joni Mitchell protested — are tearing up the asphalt, planting more trees and creating outdoor gathering spaces. A redevelopment plan for the Capri Mall calls for the eventual replacement of the existing shopping mall with a mixture of housing, retail and neighbourhood amenities, as well as green spaces and access corridors. While e-commerce has brought disruption to the retail market, says owner Graham Lee, president of GSL Holdings, he welcomes the forced evolution of retail properties. 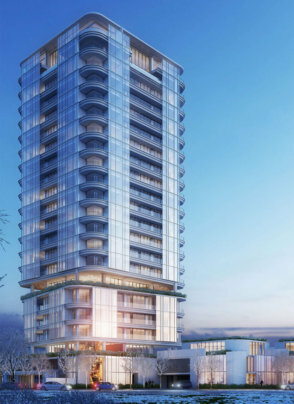 This spring, Kelowna City Council gave Lee a stamp of approval to begin construction of the first residential building. The 22-storey tower is angled to the street corner to create a public urban plaza and orient the tower so residences can overlook the planned Central Park site — with an outdoor ice rink that doubles as an amphitheatre in the summer. Currently under Council consideration is the long-term plan for the entire Capri Landmark Urban Centre, an area that extends from Gordon Drive to Spall Road. The $100-million plan proposes to increase residential densities, transforming the area into a place where people can live close to work and sought-after community amenities including public parks, restaurants, and shops. Developers will pay two-thirds of the transportation, park and utility upgrades to the area, with the taxpayer paying the rest. The developer of Landmark Centre, Al Stober Construction (ASC), is already on board, actively acquiring nearby properties to create space for residential units. With almost one million square feet of office space and thousands of people commuting to work in the area, the hope is to attract employees to live there, thus reducing parking and traffic woes. The city 2040 growth projections forecast 10,000 residents living in the Capri-Landmark Urban Centre, up from the current 2,300 living there. A vital component of the master plan for the area is converting properties around the Landmark buildings. This spring, ASC unveiled plans to replace a former car dealership with a fresh culinary market. Meiklejohn Architects repurposed the existing building, transforming it into a bright and open warehouse looking space. In spring 2019, the marketplace will open its doors to its marquee tenant, Okanagan Food Hub. The farmer-owned food co-op’s mission is to provide convenient access to locally-sourced fresh meat and produce, seven days a week. Many urban centres started as low-density commercial areas, gradually accommodating more intensive, multi-storey development over time. The original urban mall bowed to the automobile; today the call is for shops and services all within walking distance from your door. 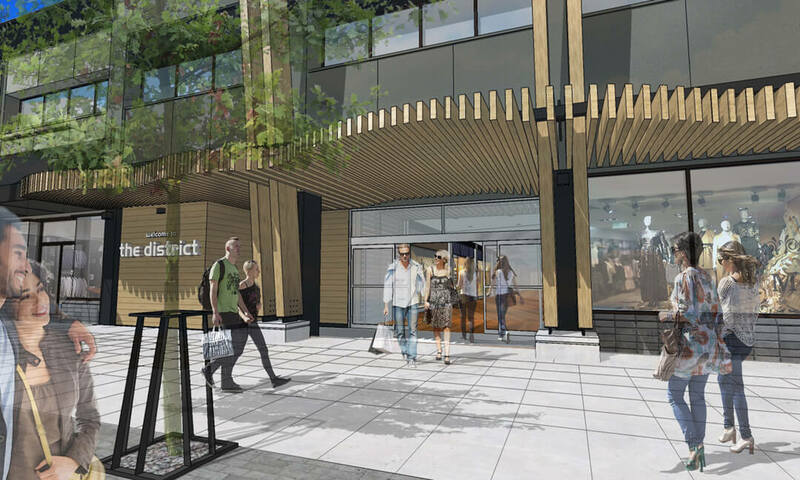 In downtown Kelowna, construction drapes hide the rebirth of the Towne Centre Mall, where edgy, cutting-edge designs combined with rustic, locally sourced elements promise to transform the building originally built in 1981. The new owners have a lot on their side: year-round foot traffic, 25,000 square feet of prime retail space and a boom of high-rise residential construction. Currently, 8,600 people live within a one-kilometre walk of the indoor mall; more than 2,250 new residential units are planned to be completed by 2025. An investment of $14.3 million by taxpayers and local businesses to reinvent Bernard Avenue as a true Main Street has paid off — with shops and cafes spilling out onto the wider sidewalks, adding a new vitality to the area. The common area for residents at Brooklyn on Bernard offers a rooftop refuge featuring an al fresco dining area with barbecue, raised fire pits and 360-degree panoramic views. One of Kelowna’s most active developers, Mission Group, is demonstrating its commitment to the downtown area with its recent purchase of 1.5 acres along downtown’s Bernard Avenue. The property located across from the Towne Centre Mall spans an entire block of Kelowna’s historic Bernard Avenue between St. Paul Street and Bertram Street. Brooklyn at Bernard Block is part of a planned redevelopment of the old Bargain Shop site — which has been vacant since 2010. 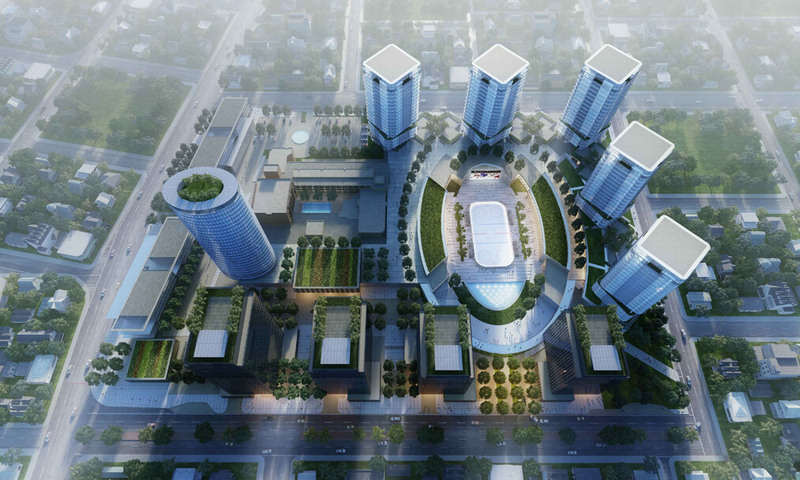 A mixed-use tower with 178 new homes is the first of three high rises planned. With a Walk Score of 98, Brooklyn is walking distance to the transit exchange and many waterfront amenities: City Park, the Kelowna Yacht Club and the public pier and marina. Located at the foot of Bernard Avenue, the 330-foot long floating pier was completed five years ago by developer Westcorp Properties at the cost of just over $5 million. “The amenities that are close by, the location in such a vibrant neighbourhood, and the proximity to outdoor activities is a huge draw,” says Jonathan Friesen, Mission Group CEO. 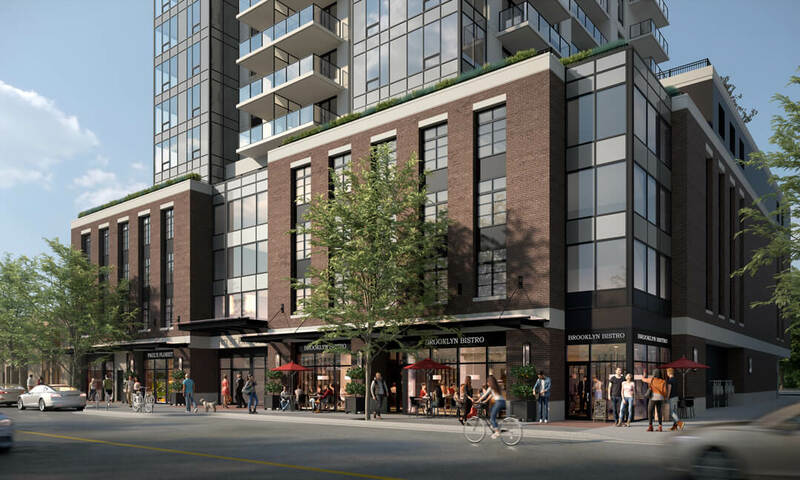 A newbie to the real estate market opting for condominium ownership, Friesen recognizes the diverse needs of urban dwellers, including achievable price points. Competitive pricing — starting in the mid $300,000s for one bedroom suites — propelled sales to 70 percent, with 125 homes purchased in the first week. Local residents lured by the urban location saw the growing downtown community as the right fit for their primary residence. “Our buyers love the convenience and quality of life each home offers. In fact, several buyers initially interested in Brooklyn as an investment are now planning to move in at completion,” says sales director Jessica Sorrell. A street view of Brooklyn at Bernard with proposed shops and outdoor cafes. The urban shift aligns with a growing focus on walkable urban places and diverse housing preferences amongst younger generations. 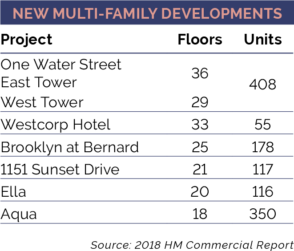 According to the 2016 Census, the demand for multi-family homes is on the rise. The trend is especially prominent in BC where the number of single-family homes fell 20 percent since the 1980s. 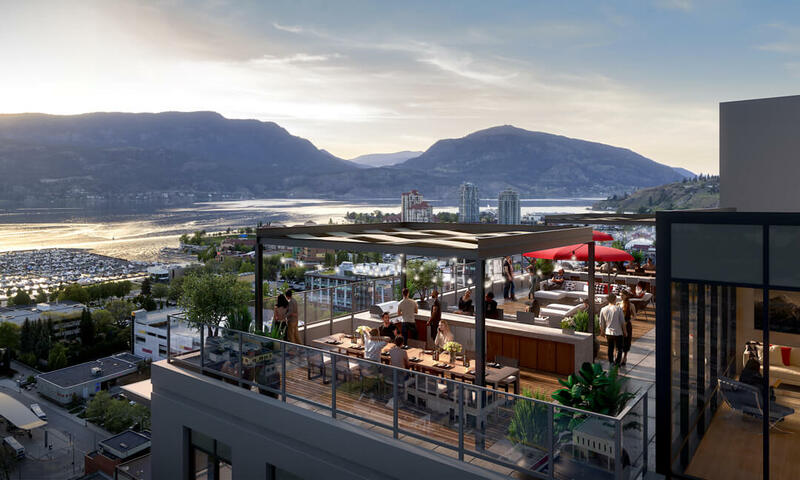 Henry Bereznicki, managing partner of North American Development Group developing Kelowna’s tallest residential property, has seen that demand first hand. In just eight months from last October, ONE Water Street sold more than 340 homes valued at $200 million. The first of two high-rise towers, the East Tower is under construction near the waterfront in downtown Kelowna. 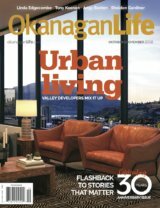 “Once completed, ONE Water Street will generate a sense of urban Okanagan community for more than 400 homeowners,” says Bereznicki. At 36 and 29 storeys respectively, the East and West towers will sit atop a three-storey podium featuring retail, commercial and restaurant space. Level four, dubbed ‘The Bench’ includes two-level townhomes with direct access to a 1.3-acre landscaped area inspired by outdoor living at first-class resorts — with a health club, two swimming pools, a pickleball court and an outdoor patio. Construction of the East Tower should be complete by Spring 2021. A meeting place is also planned for the Brooklyn 25-storey concrete condominium tower. In place of penthouse suites, developer Mission Group designed an open-air rooftop space and terrace with 360-degree views. Brooklyn comes at the heels of Mission Group’s first downtown project — ELLA, a 20-storey, 116-suite condominium at the intersection of Ellis Street and Lawrence Avenue. The design includes retail space along both streets with condominium homes starting on the sixth storey. 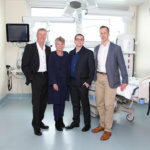 In the city’s cultural district, employees and entrepreneurs abound, in part to the newly constructed Okanagan Centre for Innovation and the Interior Health building. This catalyst for the evolution of the north end has shifted retail beyond Bernard Avenue with breweries, shops and restaurants spreading northward. In South Pandosy, the revolution is well underway. Tenants are moving into the 14-storey SOPA Square, a mixed-use building with commercial and retail units on the first two floors and residential above. Currently under construction, The Shore follows the same mixed-use blueprint. Featuring 103 residential suites and a large outdoor living space for residents, ground-level shops, cafes and restaurants surround an expansive public courtyard in the centre of the site. With a growing and robust young adult population, the Central Okanagan’s largest buying group for new homes comes from a cohort of 24 to 35-year-olds. 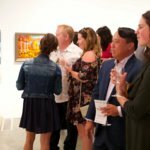 With incomes rising faster than the provincial average, and population growth expected to outpace provincial rates, a new vibrancy is found not only in the real estate market but in the people walking the streets, visiting the shops and pubs, and living the urban life.